Screen N Shade is a locally owned family business , which prides itself on the unbeatable quality of its workmanship. The work produced by our company is all TIG Welded – the strongest of all welding techniques, giving you complete peace of mind as well as being maintenance free! If you are looking for shade and privacy screens for your property – then look no further – call for a free quote today. All the panels made by Screen N Shade are flush fitted – with no gaps. Our panels are made to any size or shape to meet your requirements. Only quality latches and hinges are used and all the products are powder coated to your desired colour. The products are maintenance free, ideal for our hot tropical climate. We can supply and fit to your requirements, or supply only for you to D.I.Y – we can accommodate your every need so you get exactly what you want. Townsville Stone crafts natural stone and engineered stone into beautiful, elegant, hard-wearing stone benchtops for your kitchen, bathroom and undercover patios. 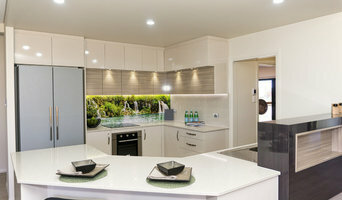 Trusted By Townsville's Best, Cabinet Makers, Builders And Renovators If you're a Cabinet Maker, Builder, New Home Buyer or DIY Renovator, Townsville Stone can help with colour selection, design, manufacture and installation. Manufacturers of Wilko Plate (Bondbeam blackout plate) and Wilko Strap (Bondbeam Truss Strap) for safety and security of roofs in North Queensland. Aluminium Concepts is a privately owned business, supplying quality hardware & components for the Architectural, Residential & Home Improvement markets throughout North Queensland. In this category you’ll find companies that source and provide everything you need to build your Townsville, Queensland home from the floor up, from timber flooring and synthetic grass to plumbing supplies and door hardware. Some companies will stock all kinds of hardware, while others will have areas of expertise. Raw materials and how they’re applied – including everything from metal roofing and timber panelling, to board-formed concrete and porcelain tiles – can provide infinite design possibilities. If you’re working with a Townsville, Queensland builder, architect or designer, they will likely have favourite building materials they like to work with, as well as favourite suppliers. Ask them for examples of how the material has been used in past projects, and seek out alternatives for comparisons. 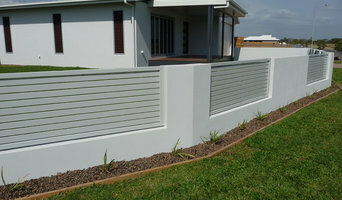 Find building supplies in Townsville, Queensland on Houzz. Scroll through this page to find companies that source and deliver building supplies in your area. You can browse their portfolio, read reviews and see how other tradesmen and homeowners rate their customer service, expertise and product.